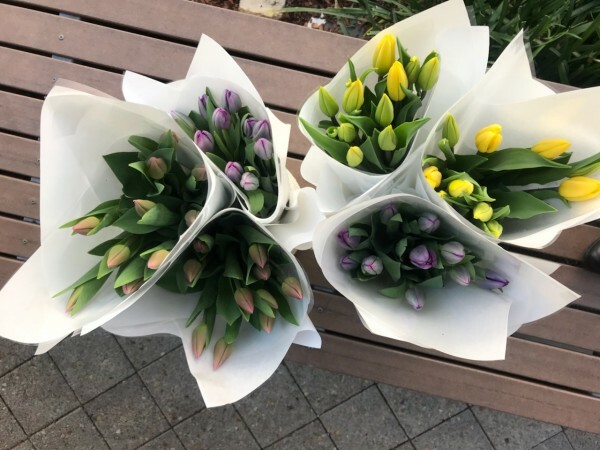 A bouquet of tulips – simple, classic elegance. Your bouquet will be beautifully gift wrapped, finished with a water bag and ribbon and comes with a little card message. Why not include something extra too, some chocolates or a Glasshouse candle!